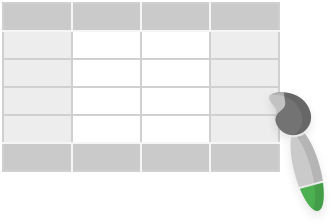 This add-on will help you visually organize data in your sheets. 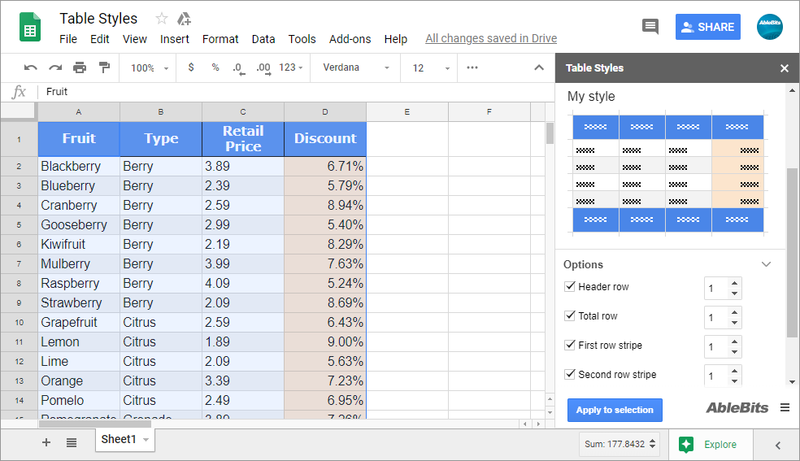 It comes with a set of style templates that you can use for your tables straight away, also living you the option of creating custom formatting for Google Sheets. Make your tables stand out with a unique combination of table elements and their style that you can edit any time. Apply table style to selection Select a range and quickly convert it to a formatted table. Personalize all table elements Customize anything from basic formatting like font to borders and background color. Create style from selection Create your own styles and use them in any sheet. Manage formatting styles Edit color schemes you created or delete obsolete custom templates from the list. What is Table Styles and what do I need it for? 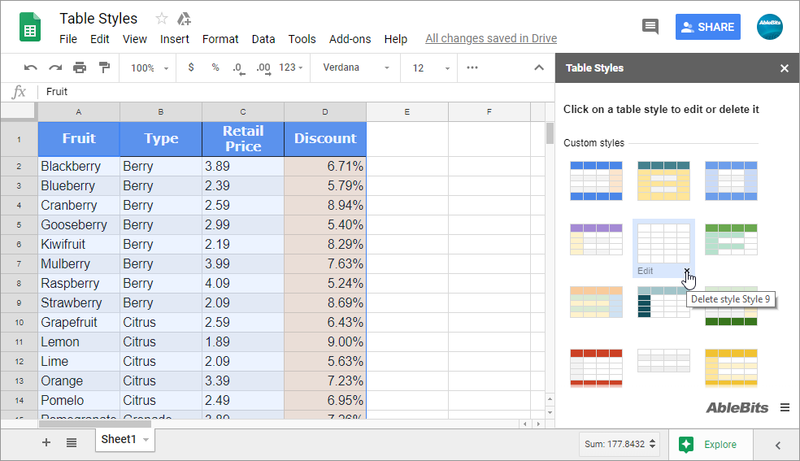 With this tool at hand, changing the appearance of your data in Google Sheets is very simple. You can apply any of pre-supplied styles to the entire table, or even choose what table parts are present in the selection. Besides existing templates, it lets you add your custom formatting patterns to the collection. You can edit or remove an obsolete style at any time. Why should I use your add-on when there are formatting tools in Google Sheets? Standard Google Sheets options let you alter only one element at a time, i.e. change font or background color. Also, you need to select each table part (a row or a column) separately to change it. With our add-on, you will apply different styles to certain parts of the entire table at once: header, first row stripe, etc. 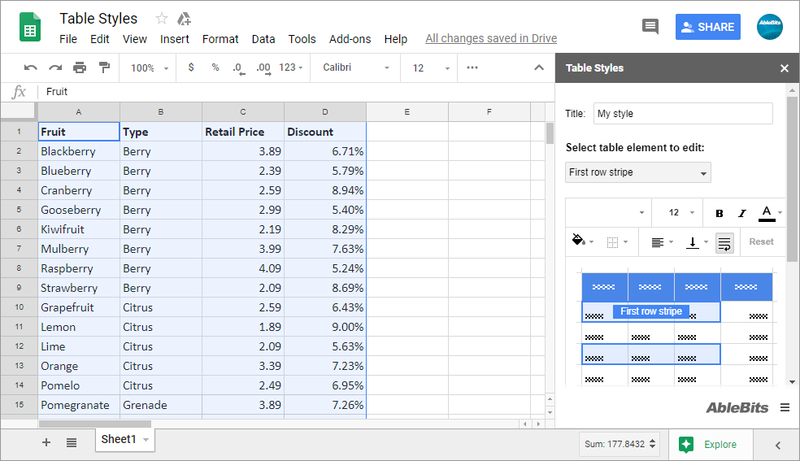 How to create a table style in Google Sheets? Select the range with the formatted table. Run the add-on under Add-ons > Table Style > Create style from selection. Give your template a name and select necessary table elements. Adjust the formatting for each element if needed. 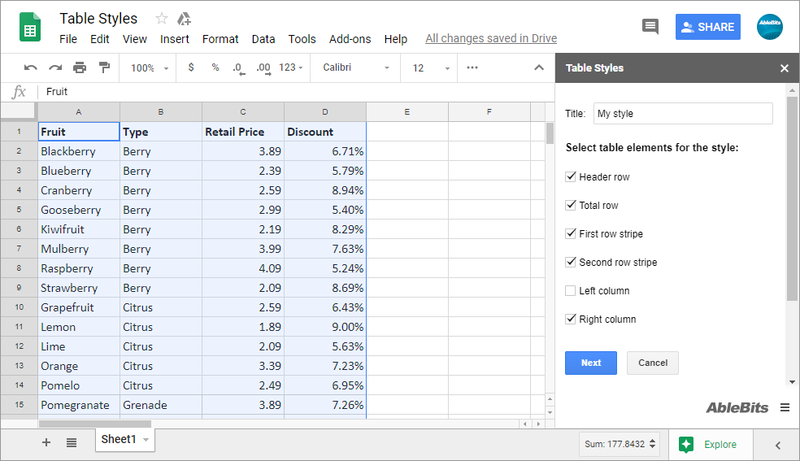 How to apply style to the table in Google Sheets? Select the range with your table to format. Go to Add-ons > Table Styles > Apply style to selection. Choose the color scheme you'd like to apply. Adjust its formatting options if necessary. Click to Apply to the selection. Can I create a completely new pattern without pre-formatting any table in advance? Sure, you can create it from the very beginning, determining the table parts you have and choosing all fonts, colors, and borders for them. 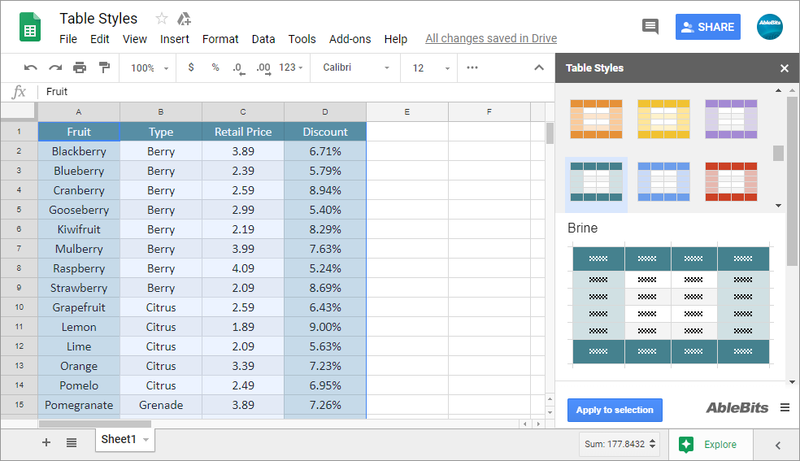 But if you have an exemplary Google Sheet table ready, adding it as a style template would be much faster. Can I modify some parts of my styles later? Of course! You can manage existing templates in the same way you create them. Change the formatting of your table header, add borders to your left column, or re-color every other row to make the information easier to read. Can I tweak the number of header rows or right columns to format? Yes, editing settings let you change the number of all elements in your table.